Putting Leffe’s new and improved beer glass to the test of an unexpected yet highly trustworthy expert. By deviating ourselves from the beaten social paths, we achieved results that were 20% above expectations. Moreover, the many substantive reactions proved, we’ve managed to underline the necessity of a good beer glass. Help beer drinkers understand that in order to properly enjoy a beer, they need the proper glassware. 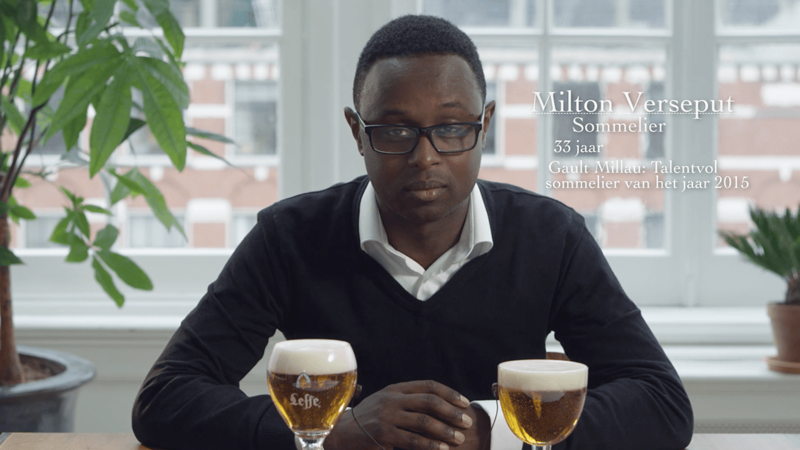 Leffe noticed that whilst the popularity of drinking craft beer in The Netherlands was growing at a rapid rate, the audience’s knowledge of how to properly pour and enjoy their beer was not. Our goal was to bridge that knowledge gap in a way that sparked and kept our beer drinkers’ attention across multiple channels. What would a wine sommelier know about drinking beer? Well… it turns out quite a lot. In a series of 3 videos, TV-host and wine sommelier Milton Verseput educated our target audience on how to create the optimal craft beer tasting experience. In each video, a unique feature of the new Leffe glass grabbed the spotlight and by making parallels between the worlds of wine and beer, we created an unusual narrative that both entertained and informed. The videos were seeded via targeted Facebook videos, YouTube pre-rolls and online advertorials crafted for the Leffe audience. And because we know this audience is more familiar with the intricacies of enjoying wine, we’ve put Leffe’s improved beer glass to the test of a sommelier.